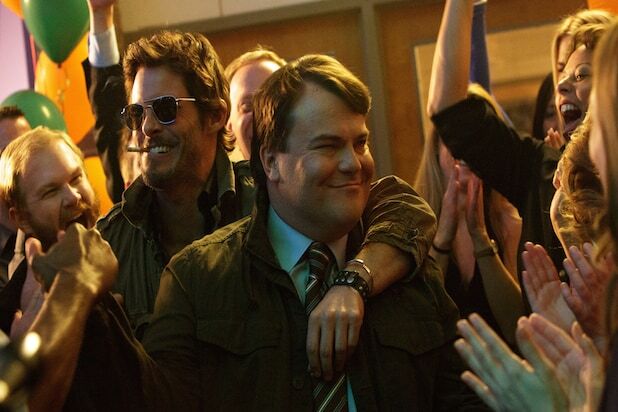 IFC Films has ponied up $3 million to acquire U.S. rights to Jarrad Paul and Andrew Mogel’s comedy “The D Train,” which stars Jack Black, James Marsden, Jeffrey Tambor, Mike White, Kathryn Hahn and Kyle Bornheimer. “The D Train” premiered this weekend in the U.S. Dramatic Competition Section at Sundance. IFC plans to roll the film out in theaters nationwide this year. Mogel and Paul wrote the original screenplay for the film, which was produced by David Bernad, Mike White, Jack Black, Priyanka Mattoo, Ben Latham-Jones and Barnaby Thompson. This is the first acquisition for IFC Films at the 2015 Sundance Film Festival, who came to the festival just one year ago with Richard Linklater’s Oscar-nominated film “Boyhood,” which was released last summer and remains in theaters. It has now grossed nearly $25 million theatrically. “The D Train” will follow a similar theatrical rollout with another aggressive social media and marketing campaign. In the film, Dan Landsman (Black) is the overly enthusiastic head of his high school reunion committee and also the group’s laughingstock. To impress his so-called friends, he vows to convince their most famous former classmate — Oliver Lawless (Marsden), the star of a national Banana Boat TV commercial — to attend the reunion to increase attendance. Dan travels to Los Angeles and spins a web of lies, igniting an intoxicating excitement for the first time in his humdrum life. In exchange for Oliver’s precarious friendship, Dan sacrifices his relationships with his wife, son, and boss, and loses himself in his obsession for approval and recognition. The deal for the film was negotiated by Arianna Bocco, SVP of acquisitions from Sundance Selects/IFC Films with UTA Independent Film Group and WME Global on behalf of the filmmakers. Sony Pictures Worldwide Acquisitions’ label Stage 6 Films picked up the film at the start of production and will distribute the film internationally.